William Lawrence Nesbitt obituary. Carnes Funeral Home. William Lawrence Nesbitt was born in Washington, D.C. on February 24, 1948. He passed away while surrounded by his family on Thursday, August 9, 2018 at the age of seventy years, in League City, Texas. “Larry” was relocated to Seabrook, Texas from Wadsworth, Ohio with his former wife, Susan, and two daughters in 1979. He resided in the Clear Lake area ever since then except for eight years in the late 1990s to early 2000s when he returned to his childhood home in Morganton, North Carolina. He was an excellent carpenter for many years of his life and an avid fisherman in his younger years. He is preceded in death by his mother, Ethel Estelle Nesbitt and father William Schwartz Nesbitt. 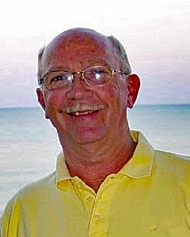 “Larry” is survived by his daughter, Jennifer Himes and husband Phil of League City, Texas; daughter, Sara Collins and husband Brandon of Dickinson, Texas; grandson, Tyler Collins of Dickinson, Texas; and sister, Carol Miller of Raleigh, North Carolina. In lieu of normal remembrances, friends who wish may make me-morial gifts to: Houston Methodist Hospital Translational Research Initiative at houstonmethodist.org. Visitation Service at Clear Creek Community Church, Egret Bay at 10 a.m. August 20th followed by Memorial Service at 11 a.m.